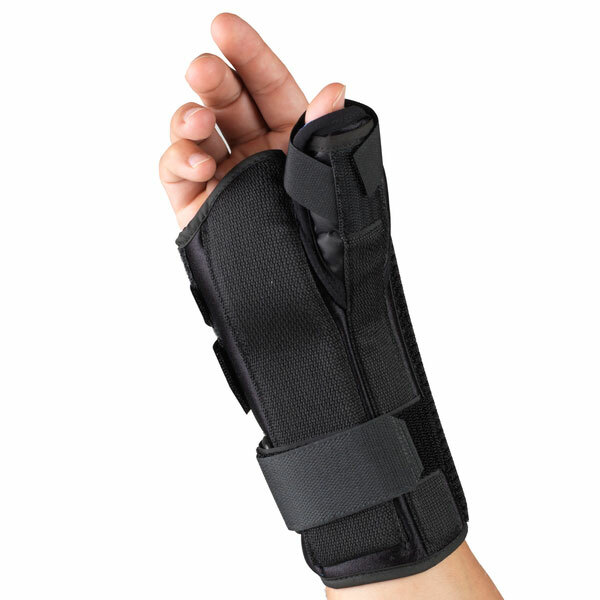 Thumb Spica features distal palmar crease contour that allows for 90-degree palmar flexion and full finger dexterity. 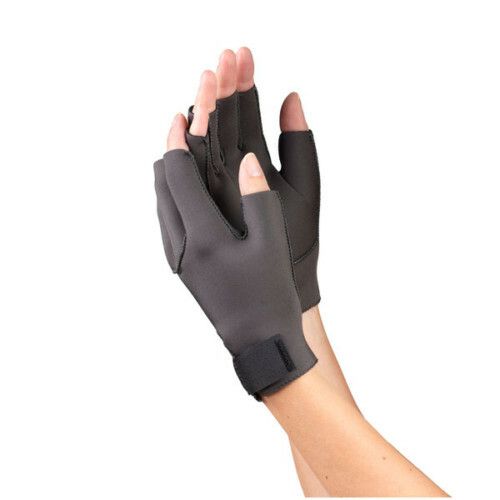 Constructed from an open cell urethane foam laminated to a lycra fabric, Thumb Spica offers great comfort, breathability and moisture absorption. 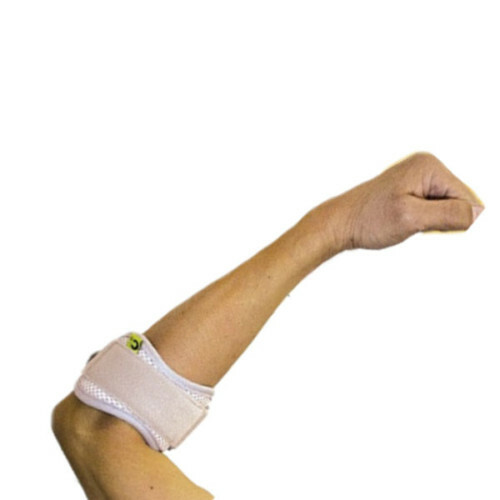 Thumb Spica’s proximal circumferential strap provides superior fixation of the radial stay THAT allows for excellent immobilization of the thumb. 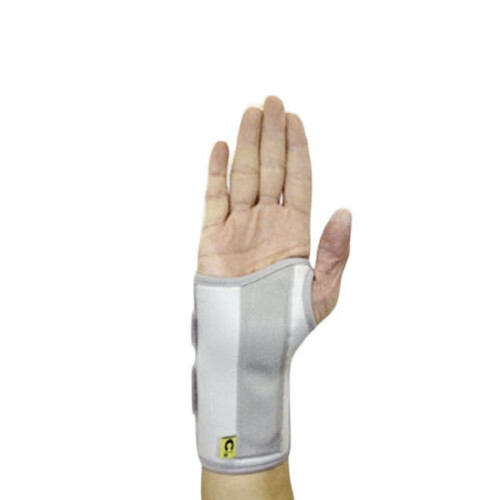 Thumb Spica is a perfect solution for latex sensitive wearers. 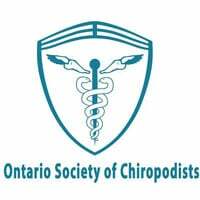 Thumb Spica holds the wrist in a neutral position and the thumb abducted to promote healing and minimize pain. 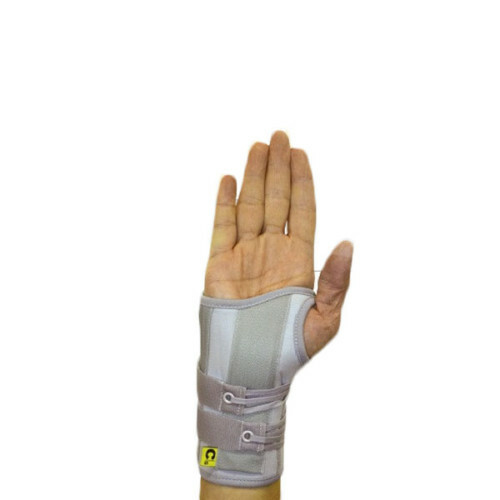 Its adjustable radial stay and removable palmar splint restricts wrist flexion, and you can adjust Thumb Spica for varying degrees of support. It has soft lined interior is breathable and offers unparalleled wearing comfort.